★★★★★ It only took 15 minutes to put the unit together and the instruction were clear and concise. I started to power wash right away. It looks like the unit is performing as expected. I am using this unit near an in ground pool so I need to be careful. For some of the tougher stains I think I will need soap or a chemical cleaner the is compatible with the unit. So far so good. It's good for home use. 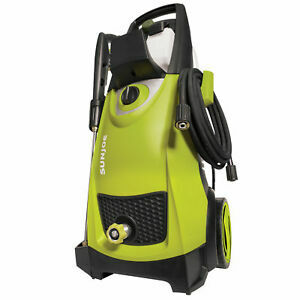 ★★★★★ Great pressure washer.... Lots of pressure. ★★★★★ Easy to assemble and works well as an electric power washer. I have used it once and it was easy to use good power.